Amazing wildlife and faszinating landscapes. Tanzania can truly claim to be the home of “Safari” since the word is Kiswahili for “journey” and there’s no better place to enjoy the enriching wildlife experience than Tanzania. With 16 national parks in the country and almost a quarter of its‘ surface dedicated to wildlife reserves, the game viewing experiences are widely regarded as the best in Africa. It’s the place to see seemingly endless herds of wildebeest and zebras trekking across the plains on their annual migration, followed by the predators; lion, cheetah and hyena. The Southern Circuit parks are less visited and more remote but equally appealing for a safari, especially if you prefer to get away from the tourist crowds. 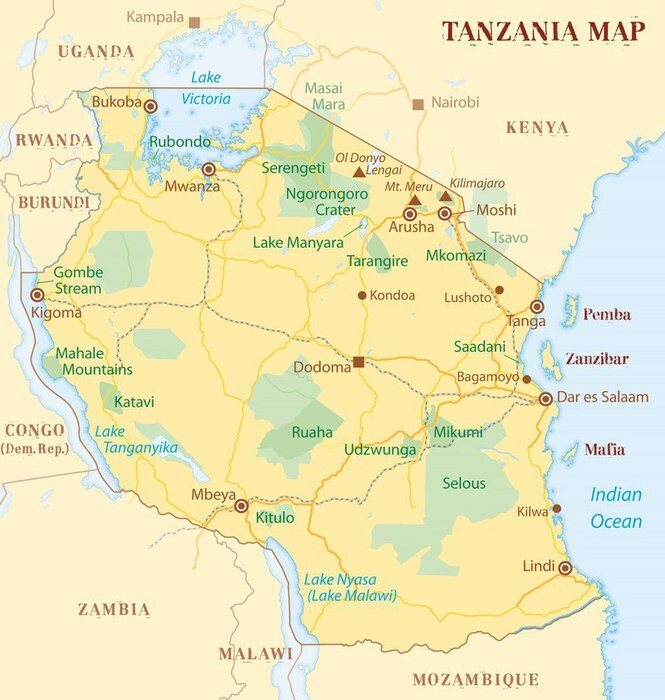 The parks include Ruaha National Park, Selous Game Reserve, Mikumi National Park and Udzungwa Mountains National Park. The Western Circuits most popular parks are Gombe Stream National Park, Mahale Mountains National Park and Katavi National Park. The less travelled Eastern Circuit contains hidden gems such as Mkomazi and Saadani National Parks.